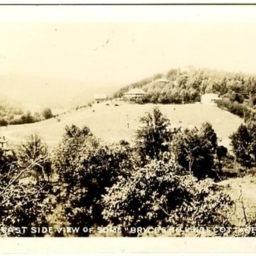 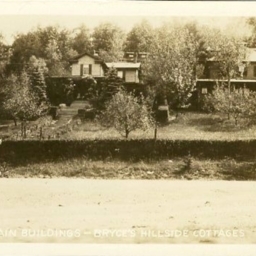 Postcard showing cottages on a hillside at Bryce Resort in Bayse Va.
East Side View of Some "Bryces Hillside Cottages"
Postcard showing a view from Suplinlick Ridge in Bayse Virginia. 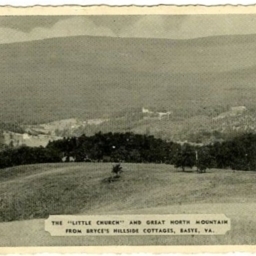 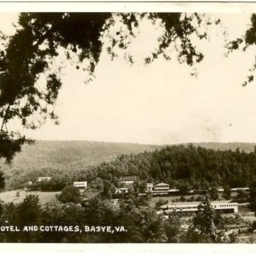 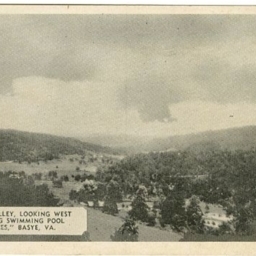 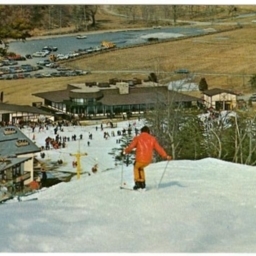 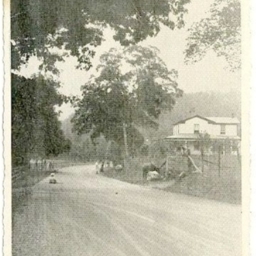 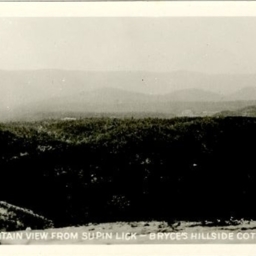 Postcard showing a view of Bryce's Resort located in Bayse Virginia. 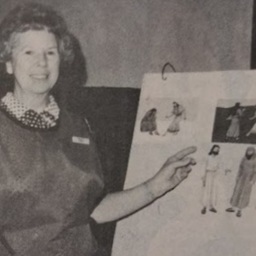 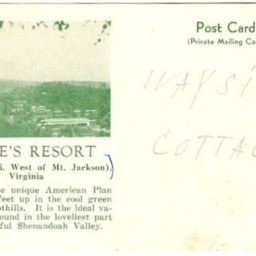 Includes a description of the resort and the area. 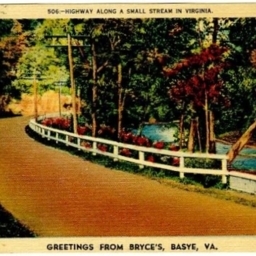 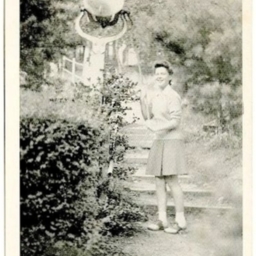 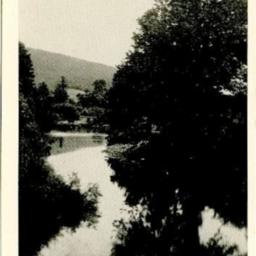 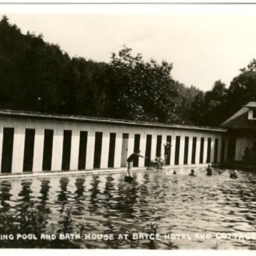 Postcard showing Bryce's resort in Bayse Virginia. 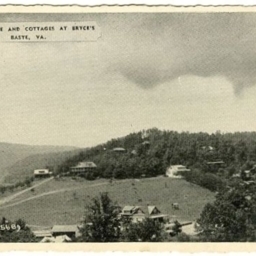 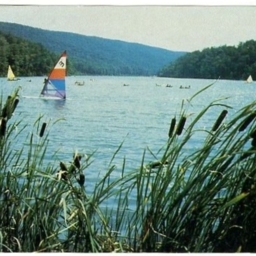 Postcard showing boats on Bryce Resort's Lake Laura in Bayse Virginia.